TipRanks believes that financial bloggers are a powerful tool for investors to utilize. TipRanks automatically analyzes thousands of financial blog sites, and its unique algorithms bring the relevant stock opinions to you. 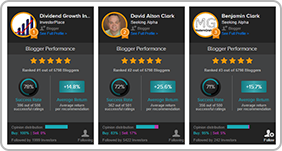 Follow the top-rated bloggers so that you never miss their stock picks again. With TipRanks you can select the relevant ranking parameters. Short-term investors select bloggers who perform best on a monthly basis. Longer-term investors can find top bloggers based on stock positions of one, or two, years. Set the benchmark as the S&P 500, the blogger’s sector or, if you prefer, no benchmark. 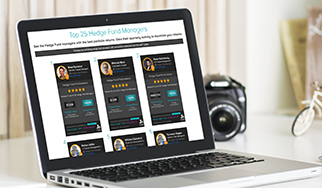 The results: the top 25 bloggers that fit your investment strategy. 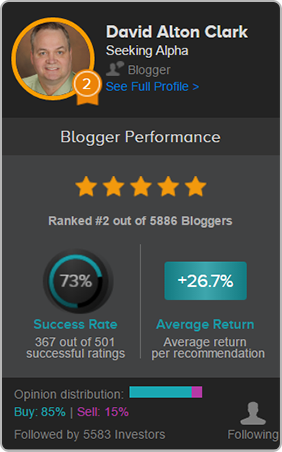 Each result gives a snapshot of that blogger’s performance - in the screenshot below we can see that this blogger has a five-star rating due to his 73% success rate (367 out of 501 profitable stock positions) and 26.7% average return per each stock pick. As a side note, you can also see the distribution of the blogger’s buy/ sell picks (here 85% and 15%). 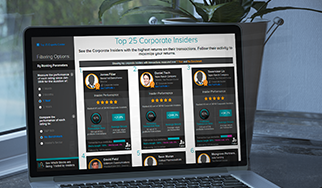 Stay informed of the very best blogger stock picks simply by clicking on the person silhouette in the bottom right hand corner. You can also click ‘See Full Profile’ to delve deeper into the top blogger stock opinions. Have a question about the TipRanks Top 25 Bloggers?